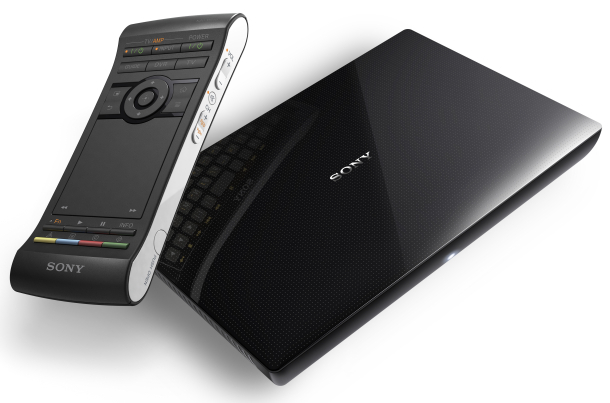 Google and Sony are sticking to their partnership to develop the Google TV platform. For the first time Google TV services will be available outside the US. Sony has announced that its Google Android base NSZ-GS7 player will be available in the UK, in July. According to Sony the new Internet player is due to launch in Canada next followed by Australia, France, Germany and Netherlands, Brazil and Mexico. The NSZ-GS7 has join Sony other Internet TV solutions allowing UK customers enjoy what has been available in the US for some time. They will be able to access thousands of apps and TV channels including YouTube and BBC iPlayer. Sony’s Internet Player is expected to go head-to-head with Apple’s TV and soon to be launch Youview. The £200 NSZ-GS7 box will allow viewers to surf the internet, watch videos and play games on their TV. In addition to the NSZ-GS7 Internet Player, Sony’s newest Internet Blu-ray Disc player with Google TV, the NSZ-GP9, will be available from October initially in the United States, followed by Canada, Australia, the United Kingdom, France, Germany, and Netherlands.